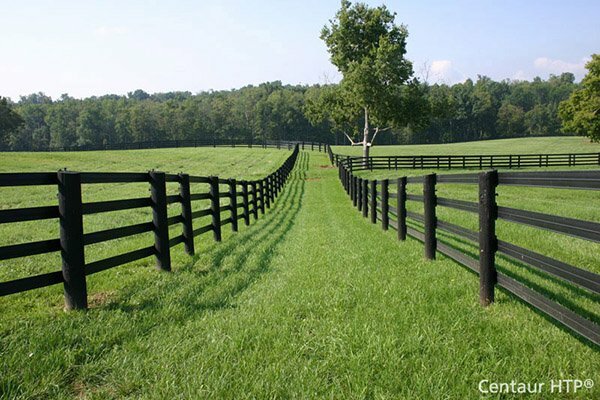 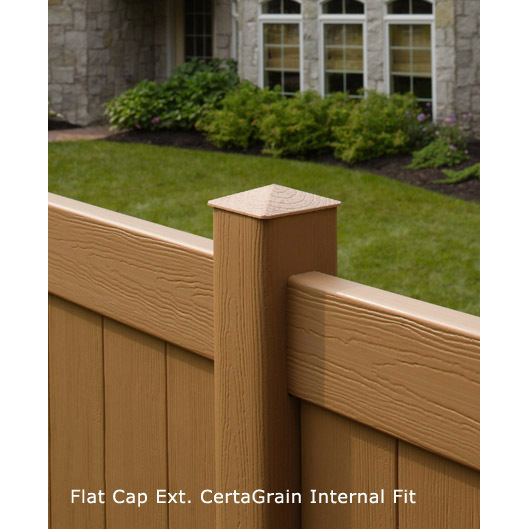 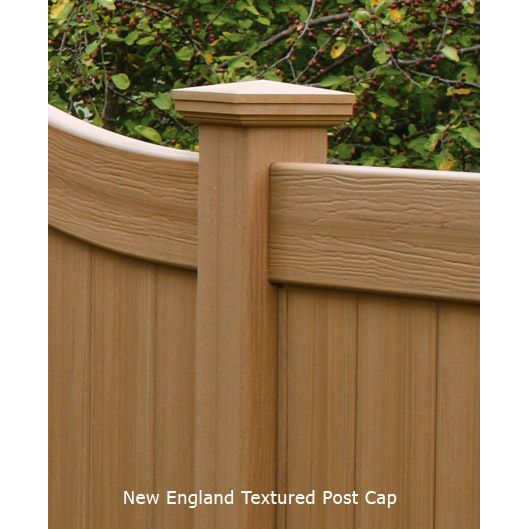 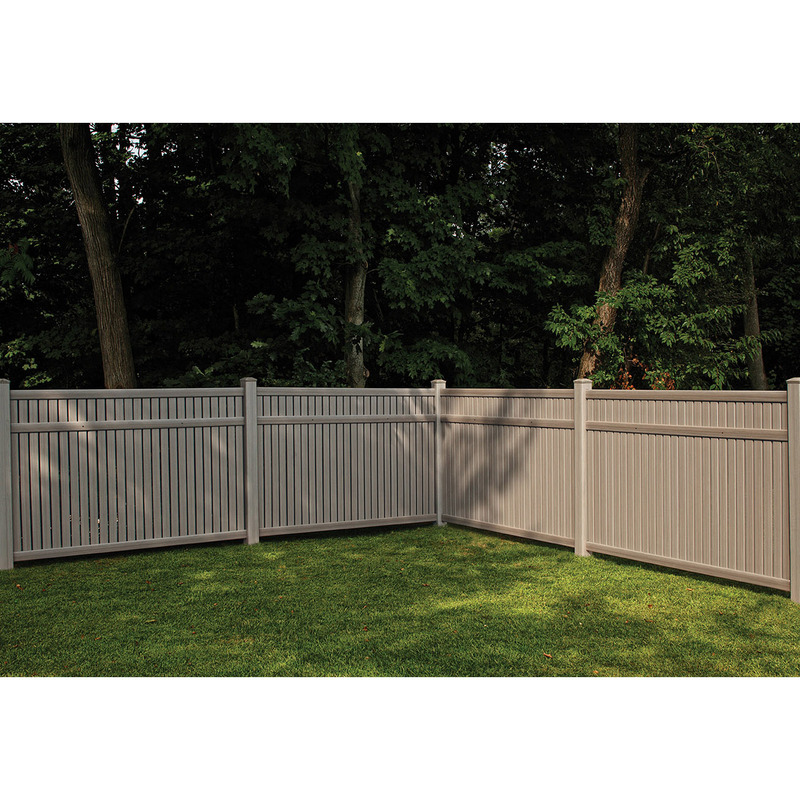 Bufftech Imperial Select Cedar Vinyl Fence Sections | Hoover Fence Co. 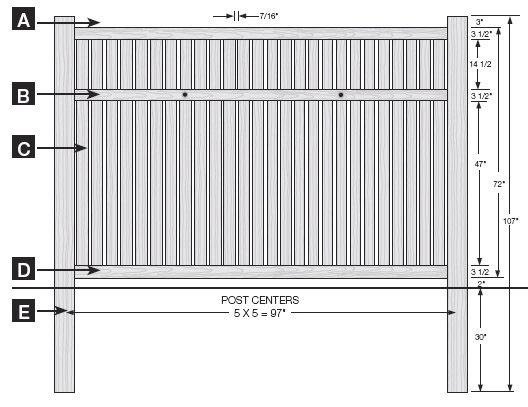 Pool Safe Fence: This style meets requirements of the ASTM and complies with most local codes for swimming pool applications. 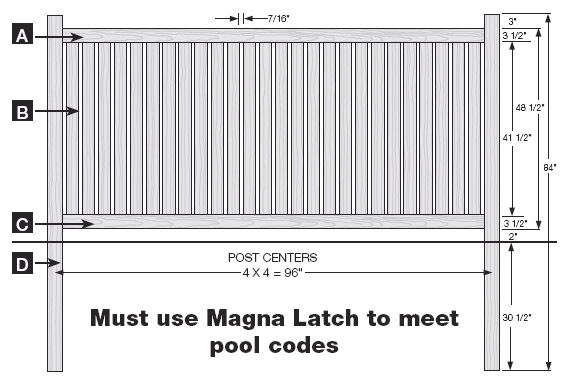 Check with your local building code official as local codes may vary. 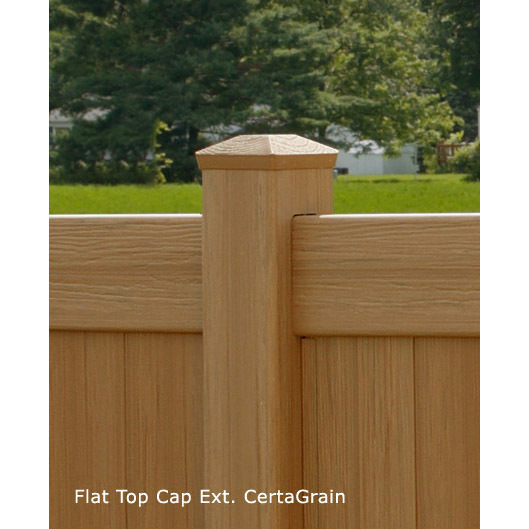 Pickets (B): 26 pieces of 7/8" x 3" x 48"
Bottom Rail (C): 2" x 4" x 90" Routed to accept pickets. 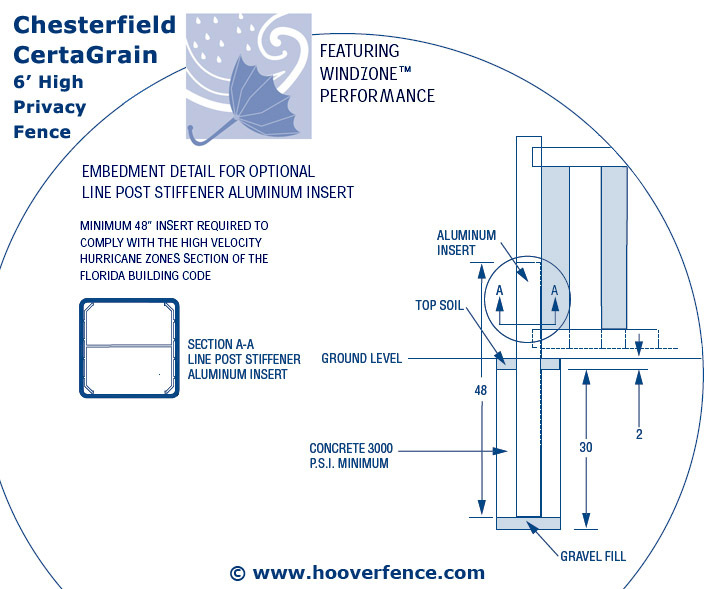 Includes steel channel. 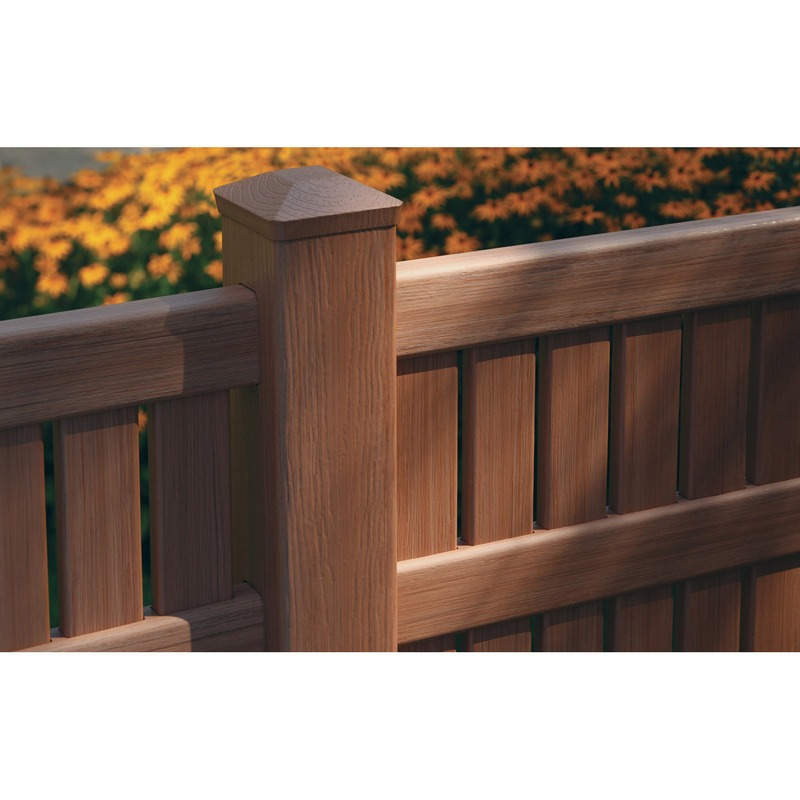 Drain holes are pre-drilled. 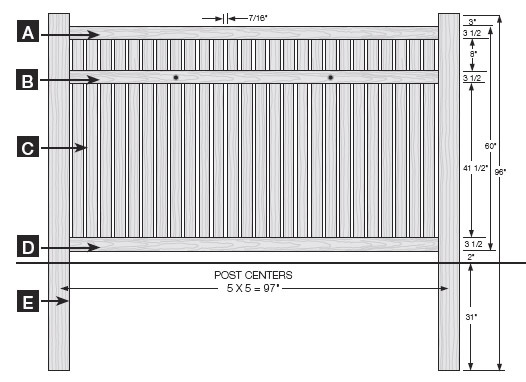 Post (in-ground) (D): 4" x 4" x 84"
Pickets (C): 26 pieces of 7/8" x 3" x 59-5/8"
Post (in-ground) (E): 4" x 4" x 96"
Pickets (C): 26 pieces of 7/8" x 3" x 71 5/8"
Post (in-ground) (E): 5" x 5" x 107"
With optional steel reinforcement channel for top rail and aluminum line post stiffener kit, this style in the 6' height meets the Florida building code for high velocity hurricane zone areas.